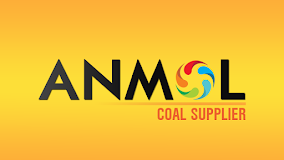 Established in 1998, Anmol India Limited (“Anmol”) is dealing in Coal import and supply industry. Since its inception, it has made itself a trusted brand among clients located in over 100 different locations in India. Initially serving only brick kiln industry and Coal traders, today the Company caters to the demand of over a dozen different types of industries and trades both in Coal and Pet Coke covering almost half of India. The primary product of the Company is USA Coal (US Napp Coal and USA ILB). Other commodities include Indonesian Coal and Petroleum Coke. Small and Medium scale manufacturers are their primary clients. Steam Coal or Thermal Coal is used for power and heat generation. It is burnt for producing heat. It is also known as steam coal as it is pulverized and fed to boilers to generate steam. Petroleum Coal or petcoke is a black solid residue, obtained by cracking and carbonizing of the petroleum feedstock, tar, and pitches. Fuel grade petcoke is typically very high in heating value, produces virtually no ash when burned, and is most commonly used in electric power plants and cement kilns. In India, a lot of small scale manufacturers manufacturing textiles, dyes, bricks, tires etc. use this fuel for their energy needs. Coking coal, also known as metallurgical coal, is used to create coke, one of the key irreplaceable inputs for the production of steel. Anmol Lists at 33.60 against the issue price of 33. Inovvative tyres and tubes Ltd . LM was Pantamath buy at ₹56 sell at 20 very poor. EBITDA Growth in last 5 years= -20% due to rising Employee Benefits Expense. Last 5 years returns= the company has given negative returns in terms of share price. 5 years back the share was at 251 and today trading at 216. However, the company has given close to Rs. 81 per share in the form of a dividend which is the only good point in coal India investment. Revenue for FY18 was at 292 Cr. However, for the 30.09.2018 financials, they have reduced the short term debt to Zero. So Debt outstanding is 9.68 Cr. The Debt/Equity Post Issue after getting 10.23 Cr from the IPO proceeds, the D/E will further reduce to 0.42.